1. Put the phone down! Unless its your kids name. 2. Don't name your kid "phone"! 3. We love you MOM! 5. Mom upside down means WOW! 6. Cool it on the Meatloaf! 7. Thank you for cleaning up the poop. 9. Hug More. Shout Less. We have finished celebrating 100th Day... counting 100 stickers for the 100 project, counting 100 M&M's for the 100 snack, counting 100 hearts, 100, 100, 100... you get the idea. My two year old can count to 100 now... ha! well, maybe not yet. With 4 kids and a crazy mom counting all these out together, you could see why it took us a little longer to get through each project :) "ok, we have to start over, one at a time..45...86... ok, let's try it again...22....47...." We would laugh hysterically all counting different numbers, then get frustrated, then finally, each child leaves the project and mom ends up counting the finale! So our 100th day is done and here is our sweet, sweet, Valentine's Day. Treats for each class done. Valentine Cards mailed out to the ones near and far, done. Valentines for each class party to pass out, done. Valentine Boxes, done. And now, one exhausted mom ready for her Valentine Wine, a romantic movie, and a warm fire to call it a night... you can all relate?! This is all seasonal and these busy times are going to be here and gone before a blink of an eye! All week it seemed to be the theme with amazing moms, "we are just so busy." Yes, we are. Swim, church, gym, school, dance, baseball... its all seasonal and we will be busy to the very end of each season. Being a MOM and being so needed as of now with our little ones, is SEASONAL. It is also so important to just "be" in that very moment each season WITH them! Most of you know I love photos and utilize Shutterfly.com as much as I can for photo gifts and much more. And like most moms, I also shop at Children's Place as much as I can, or as much as necessary at least. Well, they have this promotion at Children s Place when you spend $20 or more you earn a card for a Free Shutterfly 8x8 Photo Book Code. So... I spend $60, I rcvd. one card, it expired in January and it was well spent. Thank You. So excited to share with you The Moms New Trend Shops! I have so many everyday favorites that I wanted to share and make them available to you with the click of a button! 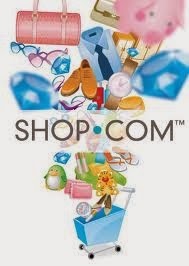 Do you shop online? Groupon? Kohls? Target? Macys? Tiger Direct? Drugstore.com? Diapers.com? Do you take supplements or are you looking for more in your everyday regimen? Not sure what to give your kids for great daily nutrition? Tired of wasting gas, dragging the kids and waiting in line at stores? Be online, Shop Online, Save TIME! Visit this site, complete your profile to earn cash back and start saving on your families needs and more! "Invite" others to the site and earn $$ just for sharing! Its FREE! Why not?!? Trends are always changing and this link will continue to grow, so check back often and watch your savings grow too! For a birthday get away, we did what hubby loves to do, go to Chicago. He is the best traveler and can find a hole- in- the- wall- restaurant in the middle of Italy if he wanted. He knows how to hop on every train, what cab # to call when needed, what bus, subway, you name it, the best eating spots, the "must-sees", he is the "Traveling Rick Steves" man to have. So going to Chicago for him was an adventure; we had some Home Brew spots we wanted to check out and the fact that it was cheaper to return some winter boots to the actual store than send them back from purchasing online was plenty enough reason to plan a night out in Chi-town together. While I enjoy making small talk, meeting and learning about people I find myself surrounded by, it just wasn't happening in Chicago. Everyone is catching up on the phone, Ipad, head down with ear phones in, or avoiding eye contact at every cost. I could even stare directly at a person for about five minutes and they have no clue eyes are on them (a little dangerous if you ask me!). A man walked into our subway car shouting, "$money? !, passes?! food? !, haven't eaten for 2 days, out in the cold... anything!? anyone?!?!" I was amazed at how he looked at each person directly waiting for any handouts he could get. Shouting as if he were selling his heart out at a baseball game for popcorn and peanuts. We made eye contact, I think I was the only one who didn't look the other way, and he disappeared repeating his "work" into the next car. What does a busy Mom want on her birthday?